How can estate litigators use the reptile theory to their advantage? Given the unique nature of estate disputes, do estate litigators enjoy a subject-matter advantage when it comes to the reptile theory? First, a brief summary of what the reptile theory is: in 2009, authors David Ball and Don Keenan published a book titled, Reptile: The 2009 Manual of the Plaintiff’s Revolution, which has since become rather influential and much-debated. The Reptile theory asserts that you can prevail at trial by speaking to, and scaring, the primitive part of jurors’ brains, the part of the brain they share with reptiles. The Reptile strategy purports to provide a blueprint to succeeding at trial by applying advanced neuroscientific techniques to pretrial discovery and trial. The fundamental concept is that the reptile brain is conditioned to favor safety and survival. Therefore, if plaintiff’s’ counsel can reach the reptilian portion of the jurors’ brains, they can influence their decisions; the jurors will instinctively choose to protect their families and community from danger through their verdict. Thus, the focus of the plaintiff’s case is on the conduct of the defendant, not the injuries of the plaintiff. The jurors are not interested in plaintiff’s injury, even when severe, according to the theory. Rather, the only truly effective way to engage jurors is to demonstrate how the defendant’s conduct endangers the jurors and their families. 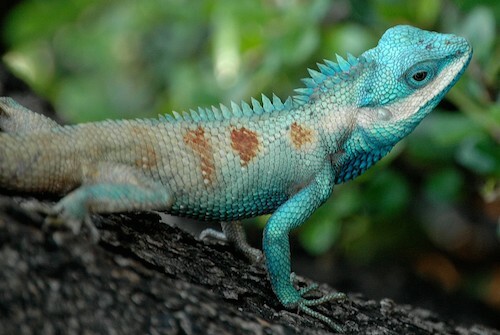 Source: “Plaintiffs’ Bar Embraces Reptile Strategy And Defense Bar Responds” by William A. Ruskin, LexisNexis Legal News Room, October 21, 2013. The reptile theory is the subject of significant debate about both its novelty and effectiveness. Supporters claim that its new neuropsychological insights have helped secure millions of dollars in jury verdicts. Detractors criticize the theory as nothing more than a violation of the Golden Rule clothed in modern garb (the Golden Rule is a rule of evidence in most states that prohibits an attorney from attempting to shift the focus away from the plaintiff, and onto the jurors, by using appeals like to “put yourself in the plaintiff’s shoes” or “imagine what you would do,” etc.). Should estate litigators attempt to employ the reptile theory? In one large respect, estate disputes are exceptionally well-suited for attorneys to use the reptile theory. Estate disputes usually center on three main topics: disputes over receiving an inheritance (centering on contested wills and/or trusts); disputes involving the failure to have an inheritance paid over (centering on actions against trustees or other fiduciaries misusing their authority); or disputes involving care of a loved one (centering on contested guardianship and/or conservatorship proceedings, or fiduciaries acting as agents under a power of attorney). All of these three scenarios – failure to receive an inheritance at all, failure to be paid the inheritance, and care for a loved one – invoke some of the most primal fears that a human being has. These issues invoke primitive fears of abandonment, repudiation of familial bonds and love, and fear for the wellbeing of a family member. Indeed, ask an elderly person what his two biggest fears are as he ages, and 9 times out of 10, he will say: (1) abandonment by family and loved ones, and (2) running out of money. As a result, attorneys in estate disputes often do not need to go out of their way to employ the reptile theory by dangerously skirting the bounds of the Golden Rule; rather, the very subject matter of estate disputes ensures that jurors will likely picture themselves (or their family members or loved ones) in the same situation as the parties to an estate dispute, and will process their decisions accordingly. The prudent estate litigator will understand this dynamic, and therefore may find that the most profitable way to benefit from the reptile theory is through keen witness preparation and direct examination that draws out the witnesses’ candid expressions of their vulnerabilities, fears, and betrayals at the hands of family members and friends. This entry was posted in Trust Disputes, Will Disputes and tagged Attorney, Estate litigation, reptile theory. Bookmark the permalink.